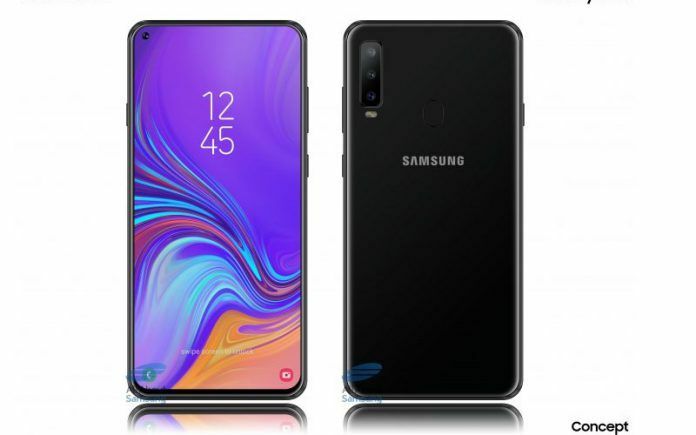 Alleged Samsung Galaxy A8s Certified on FCC Revealing Few Features, Launch Drawing Closer? The SM-G8870 could be the rumored Galaxy A8s smartphone with an Infinity-O display. 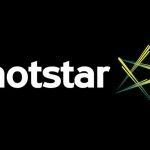 It is expected to be officially unveiled by the end of the year. An upcoming Samsung Galaxy smartphone bearing the model number SM-G8870 has been certified by the US FCC. 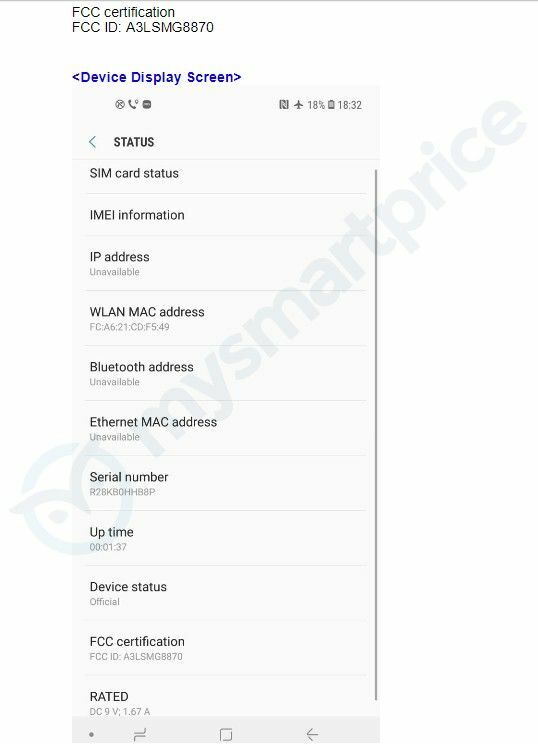 Going by the information revealed by the FCC documents, the SM-G8870 could be the rumored Galaxy A8s. 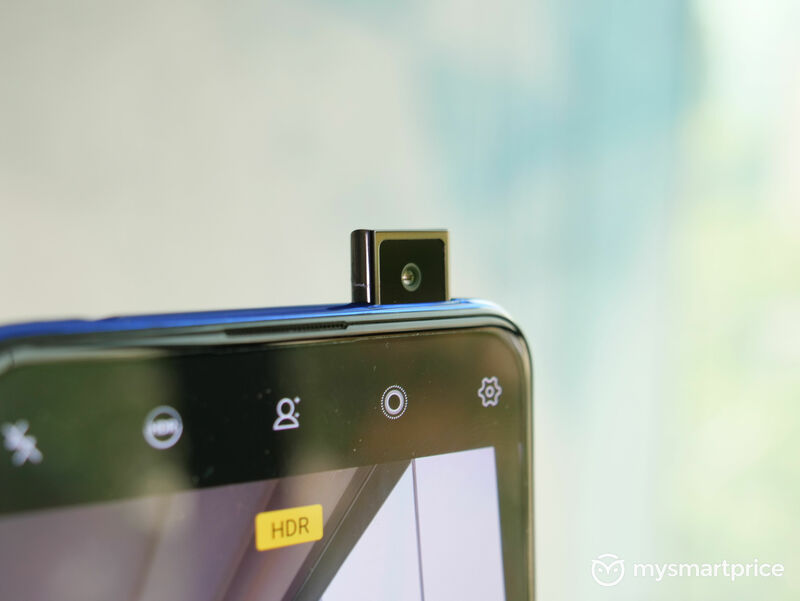 The Galaxy A8s is rumored to be Samsung’s first smartphone to feature an Infinity-O display with a ‘punch hole’ in-display selfie camera. 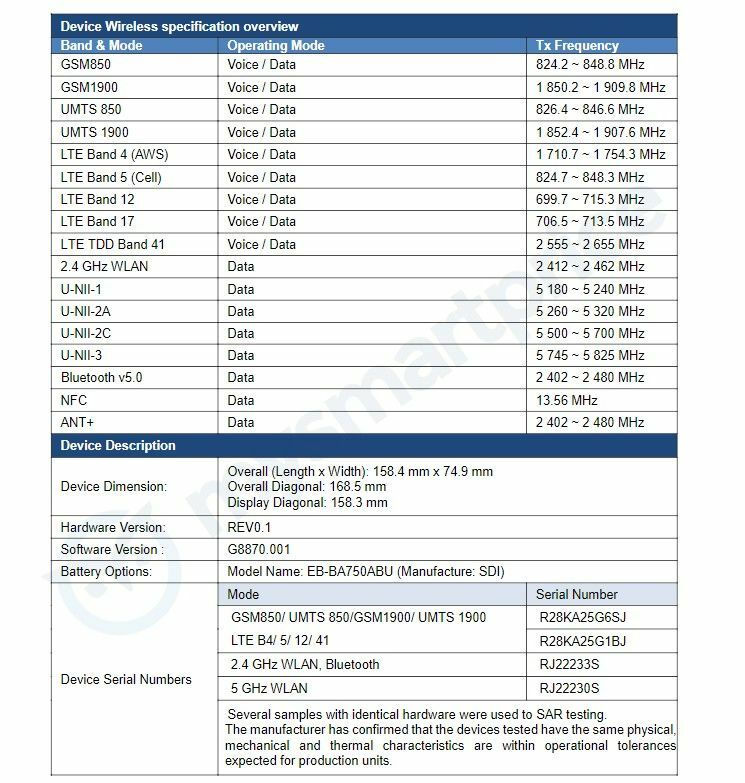 The FCC documents reveal the SM-G8870 will support Wi-Fi 802.11 a/b/g/n/ac dual-band, Bluetooth 5.0 Low Energy, NFC, and ANT+ standards. Since only the latest mid-range and flagship-grade chipsets support all the latest connectivity standards, there is a good chance that the SM-G8870 runs one of the latest Snapdragon 600 or 700 series chipsets. Rumors suggest the Galaxy A8s will be powered by a 10nm Qualcomm Snapdragon 710 chipset. Apart from revealing the smartphone’s connectivity features, the FCC documents also confirm the presence of a USB Type-C port. In terms of physical dimensions, the smartphone will measure 158.4 x 74.9mm with the display measuring 158.3mm or 6.23-inches diagonally. Fueling the internals of the smartphone will be a Samsung SDI EB-BA750ABU 3300mAh capacity battery with adaptive fast charging support. The same battery is also found in the Samsung Galaxy A7 (2018). According to a recent leak, Samsung Galaxy A8s is expected to be powered by the Qualcomm Snapdragon 710 chipset in the Indian market, while in other markets it could be powered by an Exynos chipset instead. The display size, however, is claimed to be 6.4-inches and not 6.2-inches as reported in the FCC documents. In the memory department, Galaxy A8s is rumored to be available with 6GB of RAM and 128GB of internal storage. For further expansion up to 512GB, the smartphone will have a microSD card slot as well. 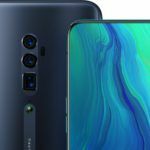 Similar to the current Galaxy A7 (2018), the Galaxy A8s is tipped to sport a triple-camera setup at the rear. 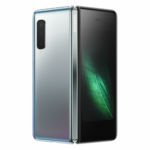 On the front could be a 24MP selfie snapper with AI-powered beautification features. On the software front, Galaxy A8s could ship with Android 9.0 Pie-based One UI out of the box at launch. 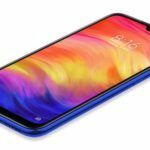 Samsung Galaxy A8s is expected to go on sale early next year, although an official announcement is expected before the end of the year.